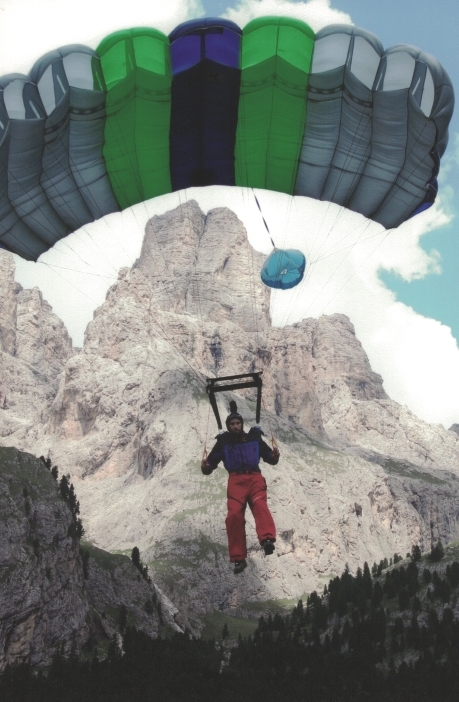 BASE jumpers are portrayed as many things in the media – glorified in movies and often vilified in newspaper articles. Jacob Harris caught up with international jumper Greg Henderson to get an insider’s perspective on this notorious sport. “It’s a beautiful thing to be free falling for 20 seconds or more.” At least that’s what Greg Henderson, the man who recently won an international BASE jumping competition in Guizhou, China, tells me. He’s been into extreme sports from a young age (in high school he competed in rock climbing at a national level and by the time he was 17 was skydiving regularly) but talking to Greg you wouldn’t pick it. He’s not the stereotypical adrenalin junky – constantly champing at the bit and unable to sit still. On the contrary, Greg is relaxed, softly spoken and even reserved. He tells me that for him the main appeal of BASE jumping, as with a lot of other jumpers, is just being out in nature combined with the adventure of exploring human flight with like minded people. Not, as many non-jumpers might imagine, about pushing the limits and taking unnecessary risks. BASE is an acronym for Building, Antenna, Span (bridge) and Earth (cliff) and in principle the sport is based on a fairly simple idea: just climb up something really high and jump off the top with a parachute. Of course, this isn’t everyone’s idea of a good time but for those who have the inclination; it appears to be a highly addictive experience. BASE jumpers often speak about the feeling of time slowing down as they plummet towards the earth; of achieving a sense of clarity that is otherwise unattainable. For many of them, it’s a way to gain a clearer perspective and cut through the chaff of day-to-day life. “Often there’ll be a few nerves beforehand, so you calm yourself and only jump if you’re feeling right about it. But when you do jump, you feel a strong sense of clarity, focus and pure enjoyment,” Greg says. The sport is notoriously dangerous and has often been portrayed as something reserved exclusively for those with a death wish. While the fatality rate associated with BASE jumping is undeniably high, the assumption that people participating in the sport must have devil-may-care attitude couldn’t be further from the truth. Greg doesn’t even see himself as much of a risk taker. “I’m not one to push limits at all. I think you can do these kinds of sports safely, provided you know where your boundaries are and what’s possible,” Greg says. There’s also a range of environmental variables that need to be considered in order to jump as safely as possible, and if the conditions aren’t right you just don’t jump. Of course, not just anyone can strap a parachute to their back and jump off a cliff without incident. BASE jumpers first need to be experienced skydivers and even then there’s a lot to learn if you want to walk away from a jump. Usually student jumpers jump in a small group and have a mentor who teaches them. “I had a couple of near misses when I was starting, nothing major though and I’m happy to have walked away from all of them. Some mistakes you can learn from. Generally if you make one mistake it’s not so bad – a lot of accidents happen when a couple of mistakes are made and they get compounded,” Greg says. 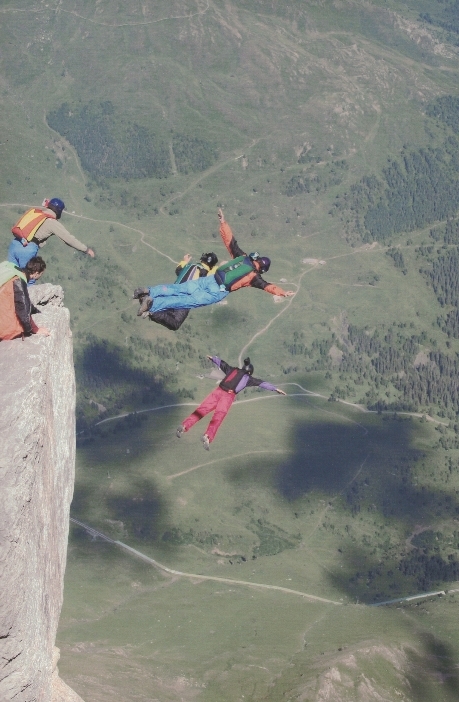 According to Greg, a lot of BASE jumping events are not really about the competitive aspect and are really just opportunities for jumpers to jump off objects in a safe and controlled way. But before this can happen, a lot of careful planning and consultation needs to take place. “We go and ask permission and complete full risk assessments and have meetings with people who own buildings and towers and that kind of thing so that we can get a group together and jump off an object. There’s been a huge explosion in events around the world like the one I was at in China. There are events in Turkey, Estonia, Malaysia and the USA every year so the sport is growing fast with increasing amounts of people getting into it,” Greg says. The increasing popularity of these events is changing the public’s perception of the sport, moving away from the covert, criminal image it once had to being generally acceptable. Australia is still a considerable way behind many other parts of the world and Greg has to travel overseas for most of his jumps. But this may even be a blessing in disguise for Greg, as he has jumped in some truly spectacular locations. Greg has travelled all over the world and jumped from landmarks like the KL tower in Malaysia and the Tallinn TV tower in Estonia with some objects giving him a free fall of up to half a minute. He enjoys the cliff jumps best though, just because he enjoys being out in the natural world. “The beauty of the jump is the foremost thing for most jumpers. When you’re jumping off a cliff that’s a kilometre high and spending 20 seconds or more in free fall – actually flying away from the cliff face – it’s a pretty amazing feeling,” Greg says. Jacob Harris is a staff writer at ManSpace. When he’s not at work or at home with his family, he can usually be found fly-fishing for trout in local backwaters. Beer of choice: Most ales, particularly IPAs that don’t skimp on bitterness. Beer philosophy: Beer is my friend. I’m always on the lookout for different beers to try and enjoy spending quality time getting to know a new brew.